Expelled from the Rangers he has served so loyally, Halt is joined by Will’s friend Horace as he travels toward Skandia. On their way, they are challenged constantly by freelance knights–but Horace knows a thing or two about combat. Soon he begins to attract the attention of knights and warlords for miles around with his uncanny skill. Even so, will they be in time to rescue Will from a horrific life of slavery? 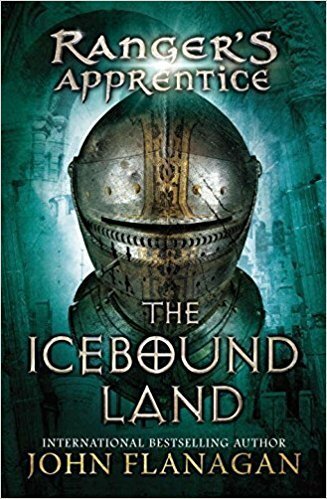 I felt that The Icebound Land lacked all the excitement of the first two books in the Ranger Apprentice series. It was good overall, but maybe I did not enjoy it as much because Will one of the main character’s did not have as much of a prominent part in this book. It was also a little different setting then the other books giving The Icebound Land a different feel.